I was speaking to a co-worker recently about some concerns she had about retirement. Since government work isn’t a stable environment right now (at least here in NL), she started to talk about the number of pension contributing years she needs in order to retire. With a typical defined benefit pension plan (pensions explained), the pension benefit during retirement relies completely on years of service and salary during the final years of employment. She estimated that she would need another 10 years of service before her pension benefit would be enough to support retirement years but I could tell that she was worried about her financial future. 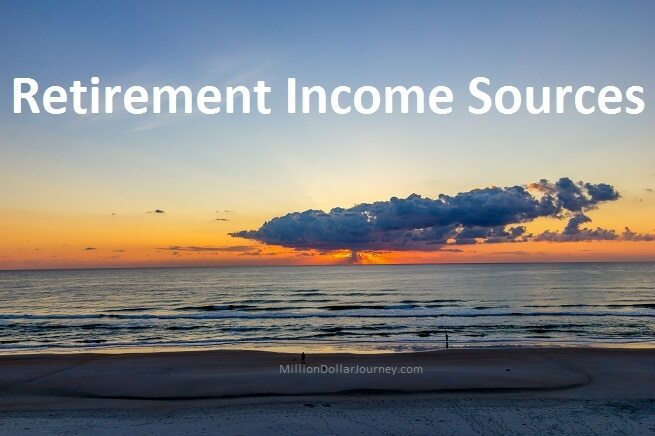 Without giving away that I moonlight as a financial blogger, I started to explain other retirement income sources that she’s heard of but didn’t quite understand the details. By the end, I could tell that there was a sense of relief. Longevity of these income sources aside, according to Stats Canada, the average amount paid out by CPP is $7,600/retiree/year or $15,200/couple/year (assuming age 65 when commencing payments). OAS, which is paid out the government tax base and calculated based on how long the retiree has lived in Canada, maxes out at $550/retiree/month or $13,200/couple/year. Combining the two brings a couple over $28,000 a year (rounded down to be on the conservative side). With many middle class couples with no debt able to retire on approximately $50k/yr in todays dollars, that only leaves a gap of $22k/yr to be funded by company pensions and/or savings (RRSP, TFSAs etc). Essentially, if you are planning on a traditional retirement in your 60’s, Canada Pension Plan (CPP) and Old Age Security (OAS) can do a lot of the heavy lifting for a middle-class retirement. For those of you who have never tracked your expenses, $50k may not sound like a lot, but it’s actually a fairly comfortable lifestyle. In fact, our annual expenses for our family of four is in the ballpark and I will admit that we live quite comfortably (with no debt payments). I’m not saying that $50k is the right number for everyone, but I am saying that you likely need less than you think to live the lifestyle that you are used to during pre-retirement years. Getting back on track, what are the key income sources during traditional retirement years (60+)? Although the dollar amount may not be huge, government retirement benefits can make a big difference. The two main programs are CPP and OAS. If a typical Canadian who has lived and worked in Canada all their lives, they may receive around $14,727/year or around $29k per couple. As you can see, getting close to $30k from the government can really pay for a large portion of a comfortable retirement. 1.Canada Pension Plan – If you’ve been paid a salary in Canada, you’ve paid into the CPP program. You can start receiving benefits of this program as early as age 60, but with steep penalties. If you elect to start collecting CPP after age 65 (up to age 70), your payout may be larger. There are a number of factors that will impact your CPP benefit, some of these include the number of years you’ve been contributing, the amount you contributed, and the number of years with little or no contributions. You can read about more details on the program here. The maximum that a person age 65 in 2017 can receive is $1,114.17/month, but the average is $643.92/month. So a Canadian couple who has worked in Canada all their lives could receive about $15.4k per year just from CPP. 2. Old Age Security – This is a government benefit that depends on the number of years that you’ve lived in Canada (after age 18) and gets funded through the general tax base. If your net income is low (less than $17.6k for single pensioner/ $32.7k per couple) during retirement, then you may qualify for the guaranteed income supplement. In 2017, providing that you’ve lived in Canada for at least 40 years since age 18, a retiree aged 65 will receive $583.74/month or $7k/year (or $14k/couple). Note that if your retirement income is too high (>$74k), it may result in the OAS clawback. Check out the official OAS details here. So you may be thinking, $30k, so what? Where does the rest come from? Here are some other sources of funding for your retirement. Pensions are not as popular as the past mainly due to the expense to the employer. Government employees likely still have these benefits which really help alleviate the retirement income puzzle. Here are the two most comment types of pensions. 3. Defined Benefit Pensions (DBP) – These are also known as gold plated pensions where employees make a fixed contribution to the plan based on their income, but get a generous retirement benefit regardless of market performance. For example, some federal government employees get up to 70% of the average of their best (or final) 5 years in terms of income. So if a federal employee averaged $100k salary for their final 5 years (providing they meet the years of service requirement), they could receive $70k/year for the rest of their lives. Note that many pensions incorporate CPP into their calculations, so if you are part of a DBP, you’ll need to read into the details. Also note that a DBP is not perfect, there are some pitfalls to look out for as outlined here. 4. Defined Contribution Plan (DCP) – This is a common work place setup where an employee and employer jointly contribute to a plan, but the retirement benefits depend on market performance over the years. This type of pension is becoming more standard with employers as it essentially takes the risk and extra cost away from the employer (and the employee if the company goes bankrupt). If you don’t have a pension, no worries! You can make your own through your own savings. The whole mission of MDJ is to show you how to build wealth through saving and investing. I’m living proof that it’s possible to build wealth this way (read about my journey in becoming a millionaire). 5. Registered Accounts (RRSP/RRIF/LIRA/TFSA) – If you’re reading a financial blog, you’re probably already contributing to an RRSP. But what’s a LIRA? It’s essentially an RRSP that is locked in until a certain age (depends on the province) and usually results from transferring a work DCP into an account that you control. Here is my experience in transferring a work pension into a LIRA account with Questrade. As you may already know, contributions to an RRSP are tax deductible but any withdrawals from an RRSP is counted as taxable income. The goal is to contribute to an RRSP during high earning years, let investments grow tax-free for the long term, then withdraw during lower income years. A TFSA is essentially a backward RRSP where contributions are made with after-tax dollars (ie. no tax deduction), investments grow tax-free, but withdrawals are not taxable (TFSA contribution room for 2017). The added benefit of TFSA withdrawals is that it doesn’t count towards OAS clawback limits. 6. Non-Registered Accounts/Savings – If you have maxed out your registered (tax-sheltered) accounts, and still have the cash to invest, then it may be time to look into non-registered accounts. While the investments in these accounts are taxable (dividends and capital gains), they get better tax treatment than RRSP withdrawals. (ie. general income). In fact, if you build a dividend portfolio with a non-registered account, you can make up to $50k in dividends without paying any income tax. This is providing that there is no other income, but a pretty attractive concept for someone considering early retirement. 7. Insurance Annuities – For those of you in the non-pension camp, there is good news, you can essentially build your own defined benefit pension by purchasing an annuity from an insurance company. They work the same way, you purchase an annuity and it pays you a monthly benefit until you pass away. The catch is that the insurance company keeps the initial capital. Generally, while we are in a lower interest rate period, the annuity payouts will generally be lower. If you are risk averse, don’t mind fixed income, and you have the savings, you can purchase the income “gap” between government benefits and retirement lifestyle. Here is more information on annuities and how they work. 8. Find work that you enjoy – More seniors are now picking up part-time work and/or starting a side business. While the extra income can certainly help – getting out, socializing and having a sense of purpose are real tangible benefits of being in work force. To start with, I would recommend readers to just do a simple tally of how much they spend on a monthly basis and how much they save. The more of your income that you save and the less you spend, the less worrying you will have about your future finance. My view is that every one should strive to achieve financial independence as early as they can. Once they reach that stage, working for money is optional and money worries will be a thing in the past. That’s not true. My uncle and aunt immigrated to Canada thirty years ago. Both of them were in their forties. They never worked in Canada. Six months after they arrived they were on disability. Strong able bodied people were given disability payments by our Canadian government. They never had a hardship here. Everything is paid for such as police protection, medical, fire protection. of them are in their seventies and are receiving OAS and GIS. I think there are many more people like my uncle and aunt who are receiving benefits. I read your blog on a regular basis as well as many investing and financial blogs/sites. Today’s content is spot on, my wife and I retired at 56 years old, both with work pensions, both casually worked part-time, and have moderate investments. We have zero debt (a must in my opinion), two late mode. Vehicles, a newer home, $6000 travel budget annually, and we have very much maintained our pre retirement lifestyle. Our expected lifetime income without potential inhertances is $1.4 million. Theory against reality is an interesting exercise and we certainly could live on much less income. Thanks for the comment Paul, it’s always great to hear from retirees and their experiences. Have you compared your expenses today vs pre-retirement? Have they gone up/down? One book I found helpful that discusses these issues is Why Swim With the Sharks (which I just found you already reviewed when googling the author’s names so I don’t have to delve into that). It’s a great overview of how to have a different mindset about retirement instead of the 9-to-5-til-65. I am a public servant and have a defined benefit plan, and I am currently saving to buyback some pensionable years. I have no intention of maxing out the 30 years to get the max benefit but even some years paying into the plan helps and will still give us income when we hit 60-65. In fact, chances are I may leave with only 10-15 years of service. We currently (family of 4) live off my salary and we save my husband’s salary. I wish more public servants would get out of the mindset of staying in jobs they hate just for the pension. It’s defeating to work with people who just put in the bare minimum and who don’t want to support any new or innovative ways of looking at things. If anything, when DRAP happened in the early teens of this decade the families who both relied on public servant salaries should have been shaken up enough to look for alternatives. But it looks like people are back to their pre-DRAP spending. Frankly, even though I was only a consultant at that time it prompted me to double down on getting out of debt and saving because the next workforce adjustment could be just around the corner. It certainly would be nice to hear from retirees to get a realistic perspective of how much is enough. Too often we see articles about this subject, but it is all speculation from people still in the workforce, or money managers with possible ulterior motives. Are you living the retirement dream? We would love to hear some of the positive and negative experiences from the boots on the ground! How much people can live off in retirement is quite variable, and really is a function of current lifestyle expectations. Bare necessities for some are luxuries for others. There are couples who live more comfortably on $45,000 a year in retirement income than couples struggling making $70,000 in retirement simply because of lifestyle expectation. The issue is that if you make a certain lifestyle habitual for several decades, it’s hard to change. The most important factor is to make savings a habit. The key benefit is obviously that savings can go to work for you, and generate future income, but almost equally important is that it means you are getting comfortable living on less than your full income. As mentioned in the post, government benefits can account for $30k in household income in retirement. If you are 40 years old today and live on a gross income of $60,000, and can save $7,000 a year, which in turn should be able to generate an income of $15,000 per year for 25 years starting at 65, you didn’t close the gap by $15,000, you closed it by $22,000. Habits formed over a very long time are hard to break, this applies to both spenders and savers. The truth is that typically, people who generally spend most or their income or who just have a hard time saving, have a hard time making the sacrifices necessary and changes necessary later to live on less, so they often run out of money. People who are very comfortable living on less than they make tend to develop frugal habits, and they don’t change when they retire and often have an asset base that grows or stays stable throughout retirement. Very seldom do people save just enough to to have a very comfortable retirement but end up spending all or most of their assets by age 90. Great article. I think as a millennial, the annuity aspect of the retirement option is most overlooked. Yes there is a risk involved but you can secure your retirement lifestyle. Also, a lot of people overlook the tax code for their province. For instance the 50k example you mentioned. You don’t really have to be super rich to enjoy. Living within your means and having an effective retirement strategy is key. Well-written article and quite thorough. Accurate CPP projections are a challenge to determine. If you retire early, you will likely not receive the amount projected in your Service Canada Account (if you don’t have a ‘My Account’ with either Service Canada or the CRA, they are very useful) due to time off. Delaying taking CPP until 70 is almost always the best idea from a financial point of view (8.4% annual return guaranteed, plus indexing for inflation! ), but many people want to get the money as soon as possible. Lots to think about when figuring out retirement! Would you also comment on another category of retirement income: passive investments saved within corporations? What is the most effective investment and withdrawal strategy? With Morneau exempting $50,000, should the focus be on accumulating $1.5 million inside the corporation invested in Canadian blue chips generating 3-4% of eligible dividends and flowing them out? I believe that currently about $51,600 is personally tax free provided there is no other source of income. Al, I will be commenting on the new passive income rules for corporations when more details come to light. Personally, I’m using a combination of corporate passive income + personal passive income.